The intention was to have a sense of 'discovery' when entering in this room, to find the books we have to walk along the space. 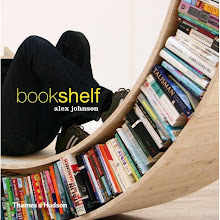 We deliberately wanted to conceal the books in order to avoid the normal bookshelf image of libraries. 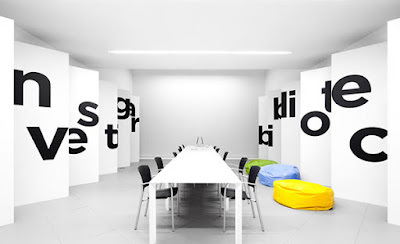 The contrast between the black on one side and the white on the other, emphasizes the notion of being or not being. 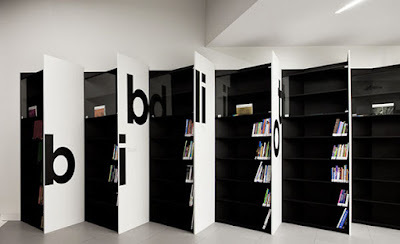 Two words are placed on the white surfaces of the shelves, "library" and "investigate", and encyclopedia definitions, such as "to question", "to know", etc in Portuguese and English.